Introducing ClinCheck Pro with 3-D Controls. Innovation has always been at the heart of the Invisalign System. 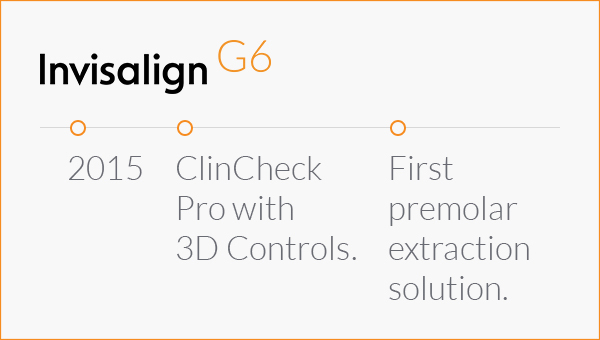 In 2015, this evolution continues with InvisalignG6 which includes the launch of ClinCheck Pro with 3D Controls and the first premolar extraction solution throughout the first half of the year. Together with the first premolar extraction solution we will also introduce SmartStage technology. Combined these innovations will improve the usability, applicability and predictability of the Invisalign System, taking it to an exciting new level of software and clinical innovation. Our new ClinCheck Pro with 3D Controls provides you with more precise control over treatment planning, helping you achieve your treatment goals. Introducing the InvisalignG6 first premolar extraction solution, engineered to improve clinical outcomes of severe crowding or bimaxillary protrusion treatments that require first premolar extraction and are planned for maximum anchorage. The InvisalignG6 first premolar extraction solution combines new SmartStage technology and SmartForce features and is designed to provide vertical control and root parallelism. SmartStage technology consists of programmed tooth movements that optimise the progression of movements designed to improve the predictability of Invisalign treatment. 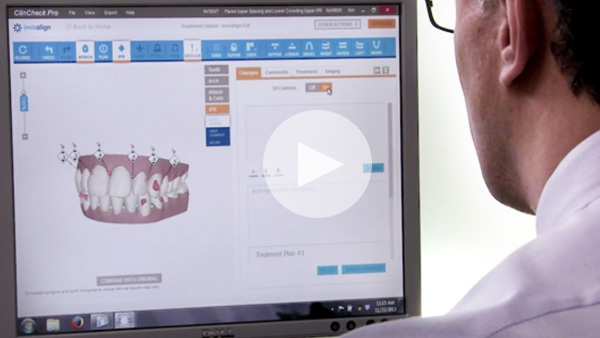 SmartStage technology is based on Align Technology's biomechanical expertise and clinical experience that includes more than 2.8 million Invisalign patient treatments. Privacy & cookies | ©2000-2019 Align Technology, Inc. All rights reserved.